IP finance: Can ad revenue save the printed media? Do the printed media have a future? The answer is both yes and no, according to "Industry Analysis: Print Sales Still In Decline; New Copyright Law Not A Solution", a thoughtful and informative post by Maricel Estavillo for Intellectual Property Watch, here. 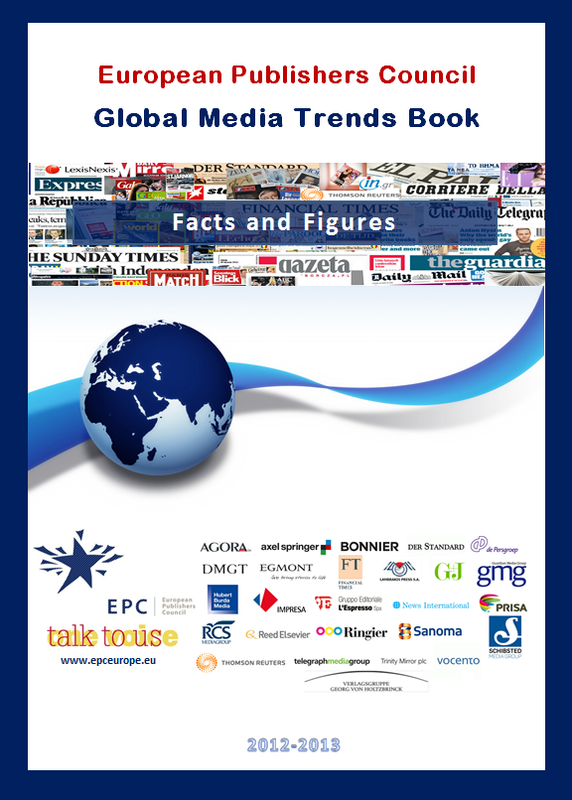 Maricel reviews the Global Media Trends Book -- a 300-page production resulting from cooperation between the European Publishers Council (EPC) and the research organisation World Newsmedia Network (WNMN) which draws on data and reports from 65 global research companies. An executive summary of this work can be accessed here. Bad news is that advertising revenues for the print media are predicted to continue their inexorable fall, though a further 1% drop for newspapers and 1.3% for magazines seems quite a gentle rate of decline to this blogger, who can scarcely recall the most recent occasion on which he purchased any printed periodical. Biggest gainers from this loss are inevitably online advertising, as well as TV, outdoor displays and billboards. Good news is that the rate of decline may be retarded by increased advertising spending on the part of the world’s developing markets, led by China, Peru and Argentina. Maricel's piece moves on to mention the book's proposition copyright law revision is not the solution -- though readers can probably guess why for themselves. This blogger notes that it is not easy to persuade consumers to pay for content, and they are not likely to pay to access advertisements on the media which they choose to access -- although the same consumers willingly pay not inconsiderable sums for the increasingly sophisticated hardware through which they access copyright-protected content as well as for packages that enable them to gain that access. Copies of the report may be ordered, according to the IP Watch post, and further information concerning it, may be obtained by emailing here.